In July and August 2018, 3 boat crews took part in the RowZambezi Challenge – a unique and never before attempted 900km, 18 day sculling exploration down the wilds of the Kafue River, the third largest tributary of the Zambezi full of hippos and crocodiles to raise awareness and funds for clean water causes. Three boats and 18 rowers including Team GB Olympian Zoë de Toledo, members of Cambridge University Mens and Oxford University Womens Boat Race boat clubs as well as some of Africa’s top rowers including 2017 Filippi Spirit Award winner Micheen Thornycroft took on the Kafue – an epic trip that tested our limits to the extremes. 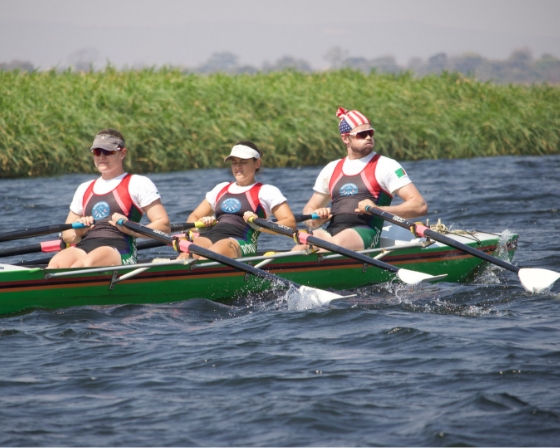 Our journey started in the Kafue National Park, rowing through the wilderness of the ecologically important Kafue Flats, before completing the expedition at the site of our partner, World Rowing’s Kafue River and Rowing Centre.